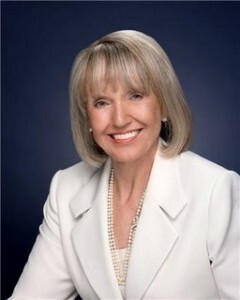 (April 26, 2010) In response to increasing and escalating attacks from Mexican drug cartels and other detrimental activities by illegal immigrants in Arizona and the federal government’s failure to enforce immigration laws, Arizona Governor Jan Brewer signed into law Senate Bill 1070 on April 23. She stated that the safety of the citizens of her state was in danger, and the legislation was necessary to enforce existing federal immigration law and uphold the Rule of Law and rights of citizens. President Obama immediately challenged the authority of Arizona’s actions on civil rights grounds. Subsequently, illegal immigration supporters, including Mexico, have pledged to fight the bill in the courts. Street demonstrations have ensued, and, on Monday (4.26), protesters smeared swastikas on the Arizona Capitol building using refried beans, among other acts of violence and defacing of public and private property, what they term “civil disobedience.” No mainstream media nor Bill Clinton nor any WH officials are condemning the unruly protests or comparing them to Timothy McVeigh. SBTP commends Gov Brewer for her courage and suggests that members contact her to express their gratitude and sign the Petition to support AZ in its battle against the White House.